Can anyone please please help me? I recently learned about the wrapper. Firstly I tried the official wrapper. The installation went well without any problem. However when I pressed the play button, nothing happened. WOT client poped up for 1 sec and disappeared without any message. I know there is some issue with logging on the v9.0. But in my case, I can't even get to the login screen. I tried with the paulthetall wrapper as well. But it is totally the same. installation was fine, update was fine but crash when I pressed play button. I guess there should be additional program for running this kinds of program. Am I right? Please help me kind tankers. I am using mbpr 15 late 2013 model. 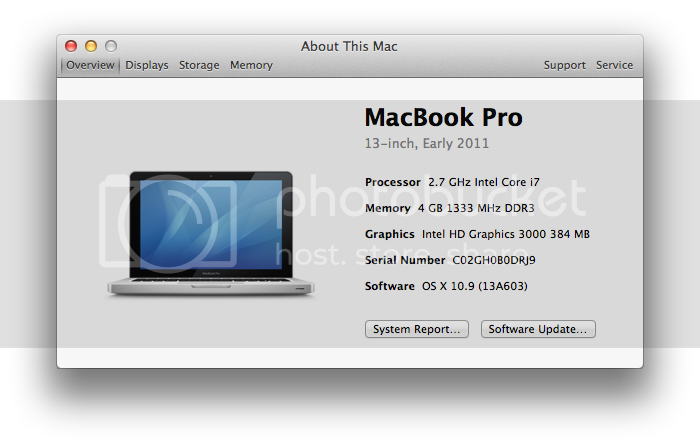 iris pro graphic and 8gb ram. I am currently suing mavericks. Exact same setup here and d/l'ing now excited to see a chance of a performance increase. The wrapper I'm using now it's never over 20 fps on low which has kinda stunk up the joint!! Since updating the game to v.0.9.0 the wrapper no longer works. I am able to get to the login screen but soon after clicking "Connect" it will stay stuck on the "synchronizing equipment and consumables" or "updating personnel file" for a long period of time and then just exit with no error message. Yup same hapenning here, was working fine till 0.9.0 update. Just a message for the last couple guys who posted: Looks like you aren't aware of what's happened with 9.0, but it pretty much broke wot. For us mac users anyways. Not a single mac wrapper player can get past the opening screen. The devs are working on a fix I'm sure, don't be too disappointed when it doesn't work. When it is fixed, make sure you give this wrapper a go! It is WAY better than any wrapper I've used before! Hi, the game was working fine before the last update, but now, it freezes after entering my password. The MAC wrapper was awesome. It worked flawlessly on my MAC. 9.0 broke more than just MAC users. It's also pretty much broke for the low-end computers as well. My kids computer would run the game just fine on low settings, now even on minimum settings the game is unplayable. I can't play on MAC, he can't play on his PC. Awesome update. Edited by teeohem, Apr 20 2014 - 00:03. I reley wanted to get some of the stuff for half off but i guess ill have to wate until next time. When running this on 8.11 it ran decent. Fails to get past synchronization in 9.0. Would it be possible to roll back to 8.11 so we can still play while all of this gets fixed? I ran the launcher but the game had a glitched out screen after clicking play on the launcher, I had a similar problem with PlayOnMac too in the new wrapper but that launcher worked fine when i downloaded the old wrapper 5 months ago and I deleted it on thursday because of all the crashes in battle from 9.0. By glitched I mean that I cant interface with the game and it has a black screen then it changes to a messed up screen with my desktop showing through, I can hear the sound fine. also my computer is quite old (8 years) but the game seemed to run fine from that previous POM wrapper. Just a tip, before you report a problem take a look at this thread and see if anyone else has reported it. For example, the Crash To Desktop that is currently occurring while trying to synchronise your account settings. It's happening for everyone that's using the Mac Wrapper and has been reported a number of times, it even has it's own thread. Of course I realise that if you can't be bothered to read any of the other posts before reporting then I doubt you're reading this one, but I live in hope. The more people who report it, the more pressing of an issue it becomes for them to fix. If they see a real, if still small, player base on mac, maybe they'll be inspired to develop something other than just a wrapper for us on the mac! Edited by jmsbnd07, Apr 22 2014 - 04:26. Our dev team has released an updated version of the Mac Wrapper that works with 9.0. All you have to do is remove the old wrapper (not the full game, just the wrapper) and download the new one. We've tested this in house, and everything seems to be back in working order. Please continue to send us your feedback! FYI - ** I do not have any Mods running ** so I don't know if these settings will work with mods. N/A So bogged down the mouse cursor could not keep up with mouse! I have used Playonmac for awhile now, and until 9.0 was fairly stable. fps was about 27fps. I find this wrapper, locks up and there is no way to kill the process easily. This requires a reboot of the computer. Otherwise I can't restart the game. Surprisingly it looks like you have tweaked it so Nvidia plays quite well. Better than the Intel card. In playonmac, I have to use Intel only. The game is unplayable because of lag much above 1280x. At 2880, there is just no way. For now, I would call this beta almost playable. Would LOVE to see you do this for Linux too! I can no longer use my linux box at all in 9.0. -After the above, ammo loadout I had in the selected tank was defaulted at full standard AP, instead of the mix of AP, HE and APCR that I had set.